Someone is selling guns to the Indians and in order to find the culprit Calamity Jane and a secret agent go undercover posing as man and wife. When the agent is killed Jane recruits a new husband -- none other than innocent dupe "Painless" Peter Potter, a totally inept dentist and confirmed coward who's main goal is to leave the barbaric west far behind. 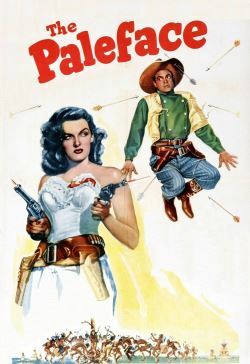 When their wagon train is attacked by the Indians it's Jane's sharpshooting that saves the day, but she gives the credit to Potter making him an instant hero to the townspeople and instant target to both the Indians and the gunrunners.